Robbins Barstow, the dad and filmmaker, was a great guy, a man of many interests and accomplishments, and an internet friend of mine. The Library of Congress added “Disneyland Dream” to the Library of Congress National Film Registry in 2008, along with notable titles like “The Asphalt Jungle,” “Terminator,” and “Deliverance.” As a “home movie,” the film is a bit of a rarity on the registry; “Disneyland Dream” and the famous Abraham Zapruder footage of John F. Kennedy’s assassination are two of a handful of amateur pieces selected for the registry. This shows how culturally relevant his work – and Disneyland – really are. 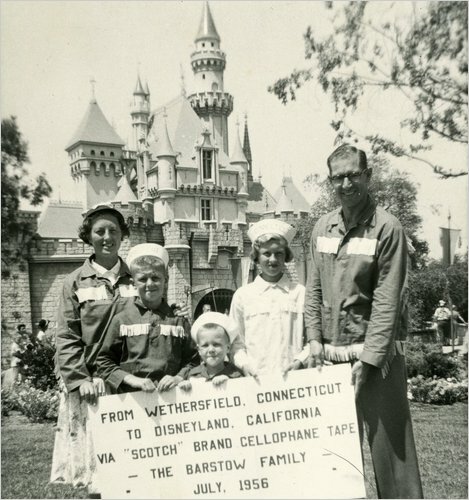 A wonderful friend to all classic Disneyland enthusiasts, Dr. Barstow once wrote me, “We have always felt that being a fan of Disney and Disneyland in this sometimes dark and depressing world, is a mark of special quality.” I don’t think anybody could put it better. Dr. Barstow passed away in 2010. Previous PostPrevious New to Eshakti? Get $40 off of your first purchase! Next PostNext More pinup by Angela Morales!